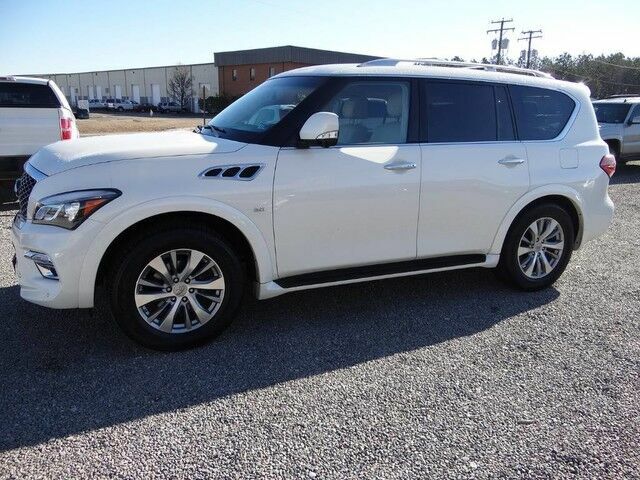 This Infiniti QX80 is Beautiful and Loaded with options including Heated Seats, Navigation, Moonroof, Rear Camera & 360 Camera, Power lift gate, Power 3rd row Seat, Rear Heated Seats, Theater Package Rear Entertainment, Driver's Assistance package with laser cruiser crash avoidance and Blind spot monitoring. Too many options to list. Awesome SUV! Call Today! Please go to http://www.hymanwholesale.com/ to view a FREE Carfax Report! Feel free to give us a call at 804-798-6661 or email us at carsntrucks@hotmail.com with any questions. We will also be more than happy to assist with all of your shipping needs! This Vehicle comes with 3 months / 3000 miles of Warranty Coverage. Like us on Facebook! !